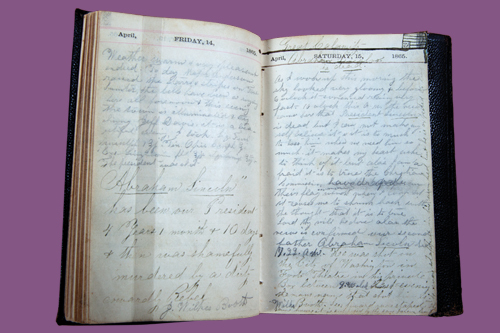 From diaries to touching letters from the front, the Binghamton University Libraries’ collections include numerous documents, books and photographs from the Civil War era. 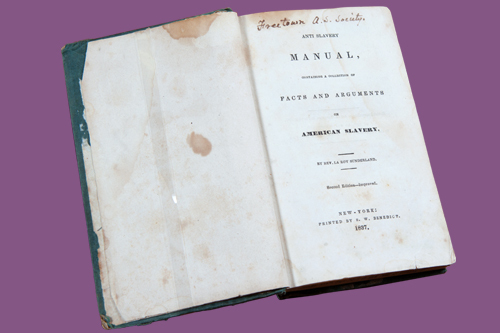 This book from 1837, Anti Salvery Manual:Containing a Collection of Facts and Arguments on American Slavery, is the earliest abolitionist title in the collections at Binghamton. It’s also an early example of cloth binding. 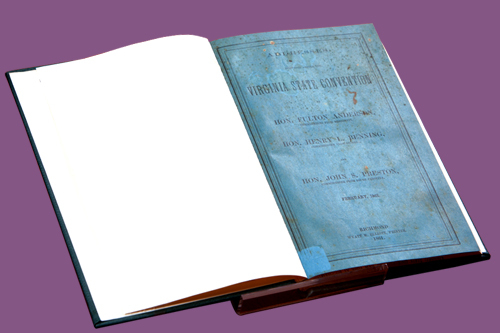 Addresses Delivered Before the Virginia State Convention, published in 1861, is the only example of a Confederate imprint in the Binghamton collections. 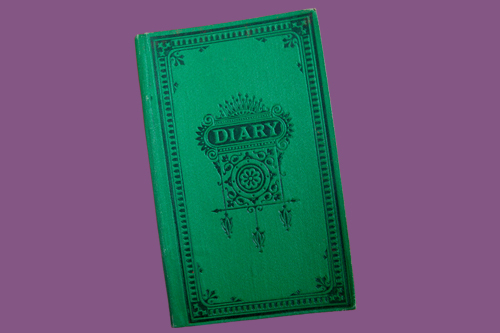 The Maurice Leyden Collection contains 52 diaries by Leyden as well as one of his children and his aunt. Leyden, treasurer of the 3rd New York Regiment of Cavalry, served as a second lieutenant and a captain in the Civil War. 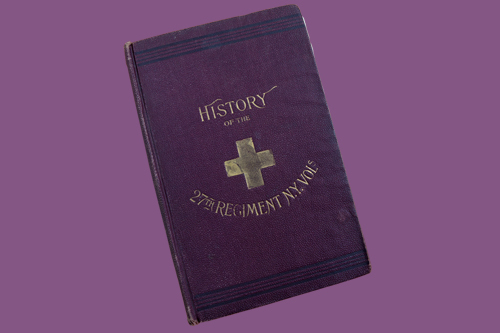 This is a history of the 27th Regiment of the New York Volunteers, which included recruits from Broome County, N.Y. The regiment fought in the siege of Yorktown as well as the battles of Antietam and Fredericksburg. 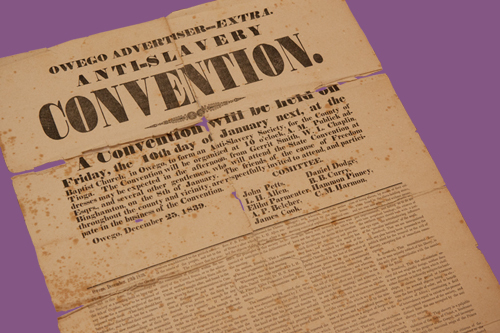 This 1839 newspaper “extra” announces an anti-slavery convention in Owego, about 25 miles west of Binghamton. 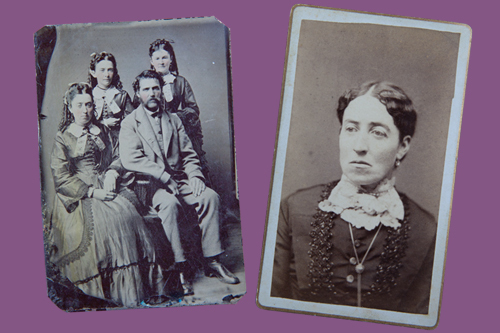 Anna Wilcox, pictured at right, of Chenango County, N.Y., kept a wartime correspondence with several cousins who were serving in the Union Army. 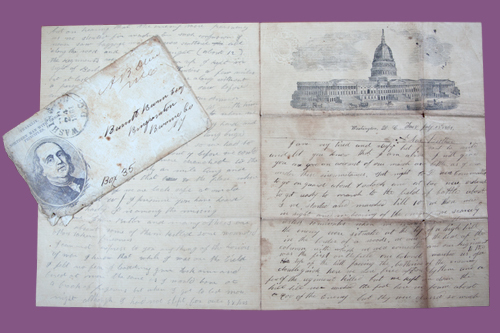 Some of these letters are in the University’s Anna E. Wilcox Collection. At left, a group portrait of Wilcox and John Pike (seated in the foreground) with Emma Rose Pike and Sarah E. Pike (standing).